A Few Spring Beauty Favourites…. Good morning! It’s a lovely sunny day here, cold but spring- like all the same! Now I’m no beauty expert myself and as I have mentioned before I can be very slap dash in that department, but with age comes the realization, that I will have to up my game a bit to keep looking presentable! I happened to be browsing in Brown Thomas the day Lancome launched their Juicy Shaker Cocktail lip gloss in store! I was asked by one of the assistants would I like to try it and of course as a lover of lipsticks in general, I didn’t need to be asked twice! 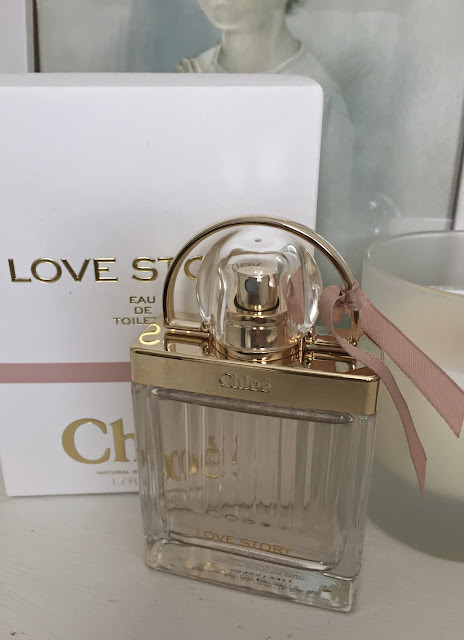 I thought it would be too sticky for me like other lip glosses and if I am honest more suited to younger girls/ladies, but it is actually the complete opposite, totally non sticky and it smells divine! I bought this coral reddish one but with 20 gorgeous shades to choose from, I will definitely be getting another! I always love a new bottle of perfume for spring and this Chloe Love story I got for Mother’s day is just perfect-I like the clean gentle floral scent. 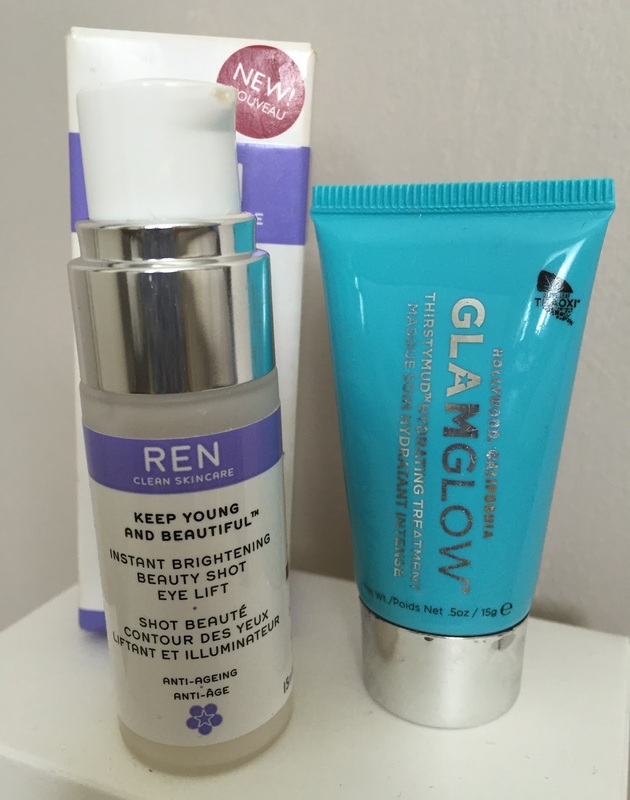 The above products above are just two favourites I keep using at the moment-I love the instant brightening effect from the Ren beauty shot eye lift and the Glamglow mask is great for my winter dry skin! The hazards of feeling the cold and having the heating on in the house morning, noon and night! This Charlotte Tilbury filmstar Bronze and Glow set is the best I have ever had! 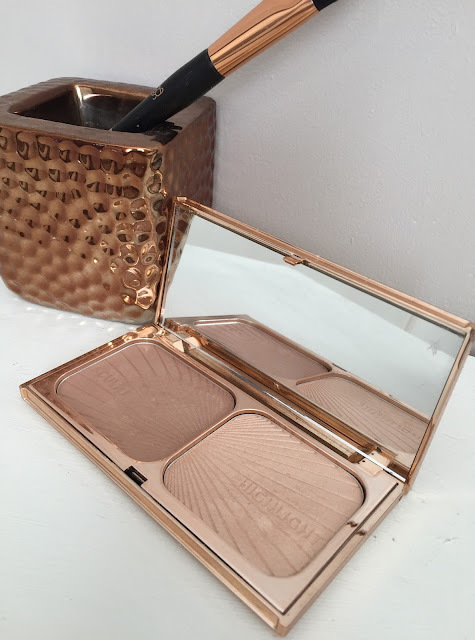 I love the colour and texture of the bronzer for contouring and the highlighter gives a lovely soft luminous glow to the skin! I will have to play around with it a bit more to get the full benefits! Actually the teen is eyeing it up daily, so I might have to put it under lock and key somewhere!! These are just a few bits I am loving this spring:) Do let me know if you have any firm favourites or new purchases you love!